The Palms at 8460 Granville Avenue was built by Bosa. Walking distance to schools, transit, shopping mall, parks, restaurants, library, swimming pool, ice rink and the future Canada Line. Fantastic amenities includes clubhouse, exercise room, sauna room, guest suite and swirl pool. 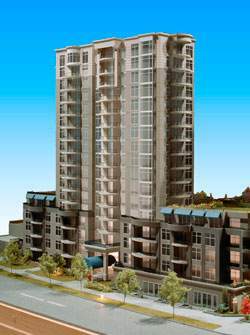 This complex features 346 units with 113 condo units and 3 townhouse units at 7080 St Albans, 10 townhouse units at 7088 St Albans, 19 townhouse units at 8433 Bennett Rd, 99 condo units at 8460 Granville, 97 condo units at 8480 Granville, 6 commercial units at 8400 Granville and 7000 St Albans.